Baumgartner watch is coming to a conclusion as today is the day he’s supposed to take the big leap. Steve goes into more detail about his plan to make train parades a thing in Hazlehurst, GA. More alligators found in Long Island? Is Godzilla coming? Parade talk leads to Steve talking parade candy and parade follies. 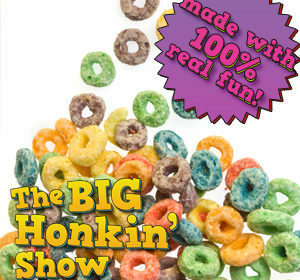 All this served up with the usual morning stupor on The Big Honkin Show!